More than 120 of Australia’s brightest students, leading medical technology start-ups and companies will get together for some unique speed-networking tomorrow to uncover and inject the next wave of talent into the ‘MedTech’ sector. Jointly organised by CSIRO Data61's job matching service Ribit, the NSW Government and the Medical Technology Association of Australia (MTAA), the event is being held in the aptly-named Stranger's Room at the NSW Parliament. Students from UNSW, University of Sydney, UTS, Western Sydney University, Macquarie and Notre Dame, as well as more than 25 innovative MedTech companies in Australia, and NSW Minister for Health, Jillian Skinner, are all on the attendee list. "This event is a first of its kind for the NSW Parliament House," Minister for Industry, Resources and Energy, the Hon. Anthony Roberts said. "It's great to see so many students from across Sydney enthusiastically putting their hands up to be involved through Data61's Ribit platform, and we hope to continue sustaining such positive momentum for NSW's vibrant medical technology scene going forth," he said. Conversely, each of the start-ups and companies will also get an opportunity to deliver a pitch promoting themselves as the place to be for students looking to kick start their MedTech career. Students represent a wide variety of courses and degrees including biomedical engineering, life sciences, pharmacology, mathematics, science, commerce and law. Data61 CEO, Adrian Turner, said the event was an excellent example of government, university, industry and research working together to build the innovation pipeline. "MedTech encompasses varied industry sub-sectors, including advanced manufacturing, product development, sales and regulatory affairs – all of which are demanding fresh talent," Mr Turner said. "By bridging the gap between students and businesses, we hope to build and sustain a steady stream of talent pool for this rapidly growing sector. "The event showcases the wide scope of career opportunities available across an industry that's currently enjoying a healthy compound annual growth rate of 4.5 per cent globally. "Ultimately, regardless of a student's academic background, getting a start in this industry means their career can take many different trajectories," he said. 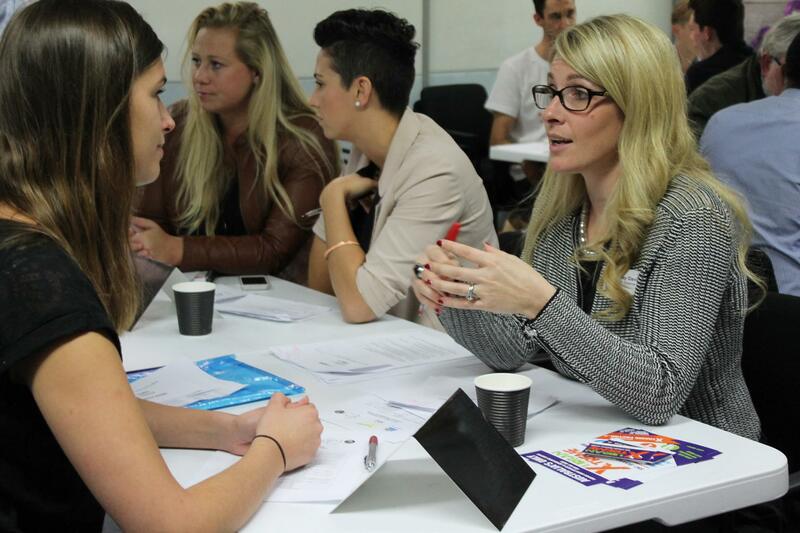 Ribit Director, Liz Jakubowski, said speed-networking was a proven formula. "It's a fun, yet efficient way for high-growth, innovative companies to uncover super-keen students to match their future needs and importantly, create new jobs," she said. * The event will be hosted by the NSW Minister for Industry, Resources and Energy, the Hon Anthony Roberts MP. Ribit.net is a platform that matches students with STEM and digital skills to roles with innovative businesses and startups. 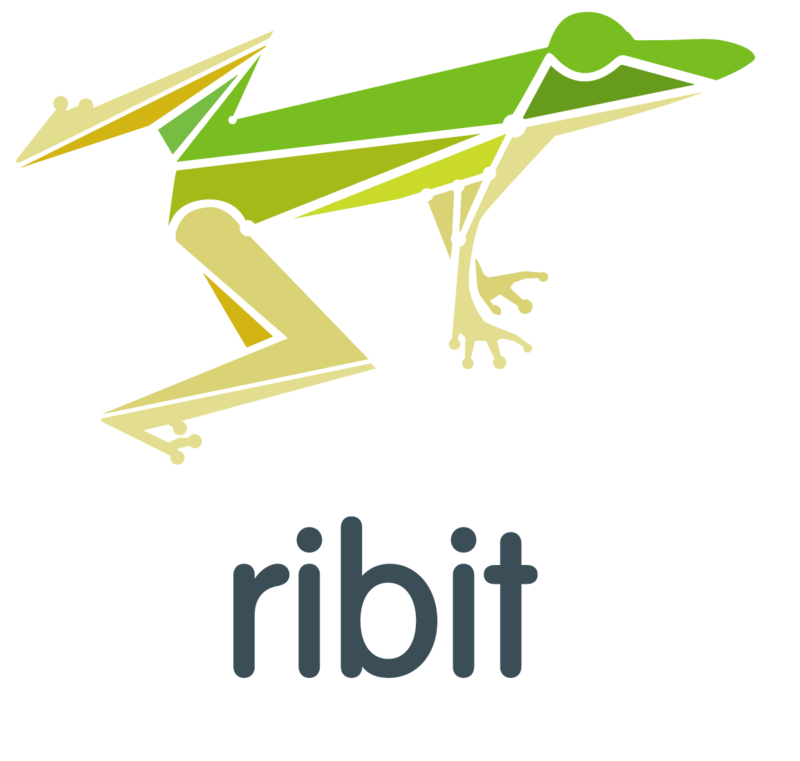 Ribit went live in beta in February 2016. 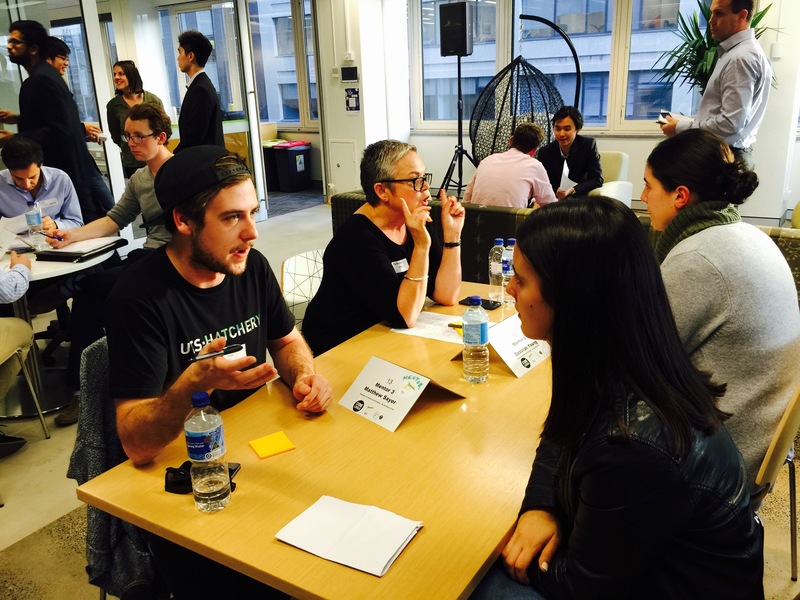 It has run speed-networking events in Sydney, Canberra, Brisbane and Geelong, where students get a chance to meet with at least six to eight senior company representatives each, including CEOs and founders. Students practice pitching themselves to employers, develop interview skills and also learn first-hand about new opportunities in industry. 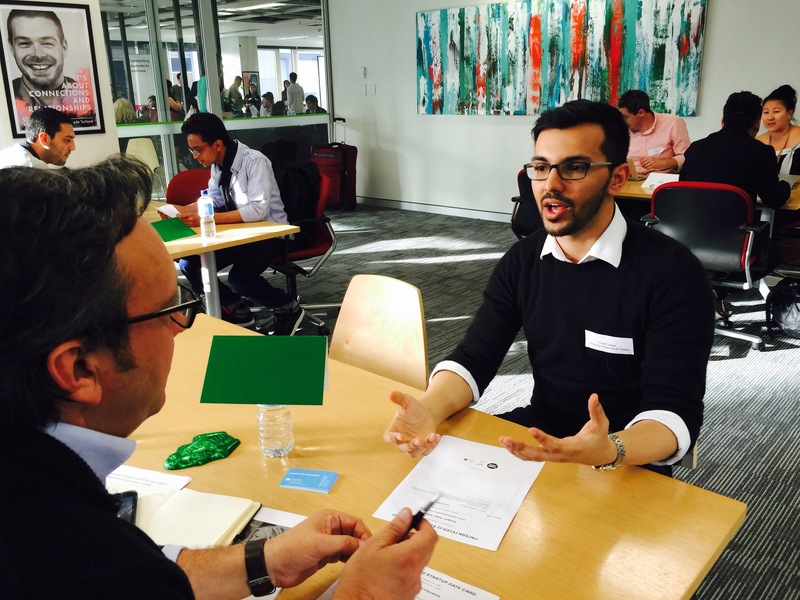 Getting down to business at Ribit’s “Get Connected” April event.